JETcopter, a vertical take-off and landing (VTOL) aviation startup, has announced the launch of tests of a new type propulsion system for VTOL aircraft. This new propulsion system consists of two centrifugal air turbines in enclosed housings, each 6.6 feet in diameter, that will rotate in opposite directions at a high RPM to create thrust similar to 36-feet diameter helicopters rotors. The airflow from the turbines will be diverted by air ducts to four endpoints, that could be vectored in any direction. This layout will enable the enclosed rotors housing area to create a lifting force and unload rotors in horizontal flights like airplane wings. The compact enclosed rotors propulsion system will be safer in urban areas than helicopters, and the achieved bigger airflow speed could improve performances of next-generation VTOL aircraft. JETcopter will start tests on a mobile platform shortly to measure generated airflow parameters, like speed, volume and sound at various RPM, and to test airflow vectoring possibilities. Aircraft with this propulsion system could open a new class of VTOL aircraft, “Copterplanes”; efficient VTOL aircraft that could be used as air taxis for intra- or inter-city routes, or as corporate or private high-speed, safe and efficient next-generation copter. This new and more effective propulsion system with automatic leveling control, instead of manual mechanical control, could make piloting VTOL aircraft easier and simpler compared to helicopters, even with an airplane pilot licence only. JETcopter plans to build a conceptual VTOL prototype within 24 months. The company has also developed a low-cost carbon fiber fuselage production for the JETcopter and will use reliable, powerful and inexpensive automotive motors. The JETcopter is a unique and feasible project, where all three main VTOL aircraft components are ready to install without big investments to initial engineering. 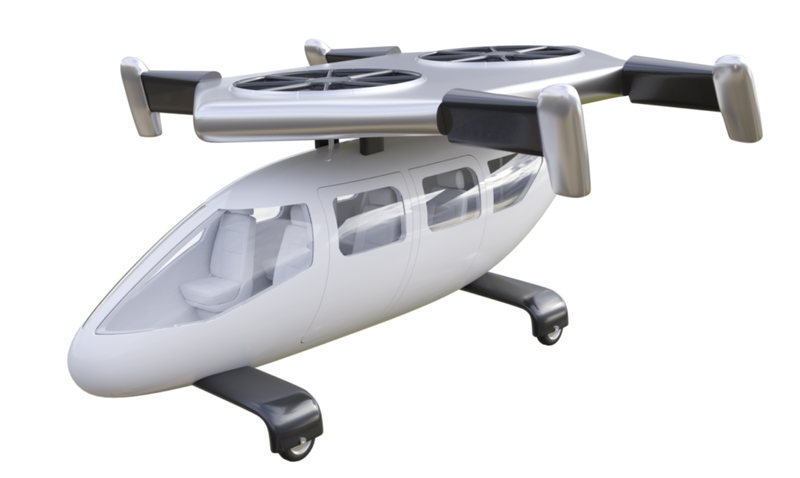 With two motors, each 400 horsepower, and 1,000 kilograms of empty weight, the JETcopter has a high power/weight ratio and features six to eight seats and VTOL capacities. It will be powered by automotive motors and will have very low operational costs. As a research and development company, JETcopter invites interested parties to take up contact for investing in the exciting next-gen VTOL JETcopter project. JETcopter has engineered its own air turbines that can be much cheaper in production than helicopter rotor blades. A full-scale mock-up of the JETcopter is planned to be presented at the AERO 2019 aviation exhibition — the largest general aviation trade show in Europe, in Friedrichshafen, Germany, in April 2019. Jetcopter is a generic name. Even Google hasn’t heart about a company by that name. The article doesn’t mention who the owners are, where they operate from, and what credentials they bring to the table. So won’t be able to glide like a plane or autorotate like a helo I assume? owners EU company , project patented in USA , project engineered for USA , to be built in USA by consortium of interest in companies . . This is not last version , last one have 4 short wings and together with air turbines housing their area is comparable to airplane wings area .So will be able to glide , autorotate – no , but don’t we forget it is 2 independent motors layout , so with even one functional , it still will be able to fly with decreasing altitude . Does not matter how many motors you have if they don’t get fuel for any reason. Possible I suppose to also fit these with an emergency parachute in case of engine failure for any reason. Good luck with it anyway. Be good to see some new piston engine designs used in aviation that are not a squillion years old. yes , parachutes were from beginning , it’s easy to install even 2 of them . That info is in www. jet-copter.com Surely latest , 2.0 – 2.5 l turbo , light weight piston engines considered , available from 2018 luckily .